By Susan Moss Marks and William A. Hopkins, Jr. 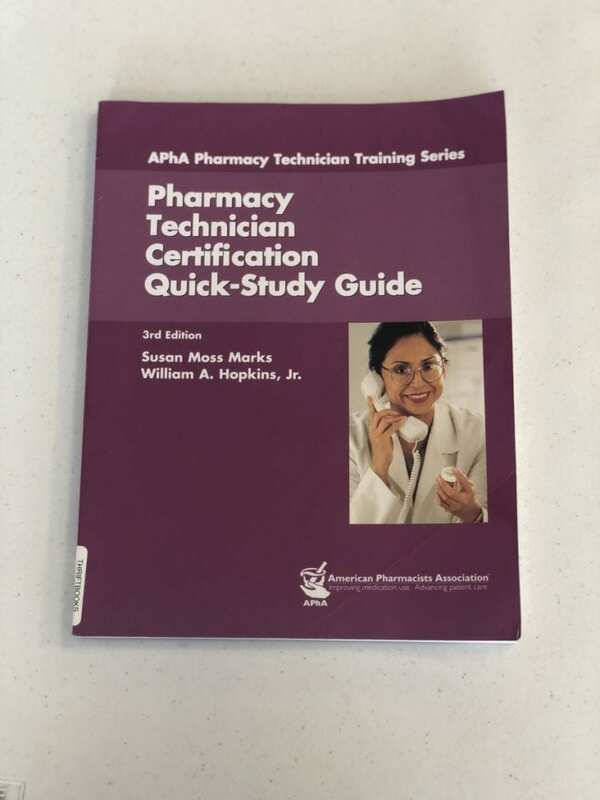 The American Pharmacists Association’s Pharmacy Technician Certification Quick-Study Guide has helped tens of thousands of candidates prepare for the Pharmacy Technician Certification Board examination. It covers everything candidates need to know in a concise outline format, providing a quick, yet thorough, refresher. Covers the three functional areas tested on the exam: Assisting the Pharmacist in Serving Patients (66% of the test), Maintaining Medication and Inventory Control Systems (22% of the test), and Participating in the Administration and Management of Pharmacy Practice (12% of the test). Includes three new chapters: Processing and Handling Commercially Available Chemotherapeutic Medications, Collecting and Communicating Data on Investigational Drugs, and Collecting and Communicating Data on Restricted Drugs. Provides 470 sample questions with an answer key in the back of the book to help readers assess their understanding of the material. Has 160 new sample questions inserted throughout the book. Includes key terms and concepts, chapter summaries, questions for discussion, and sample questions in each chapter.